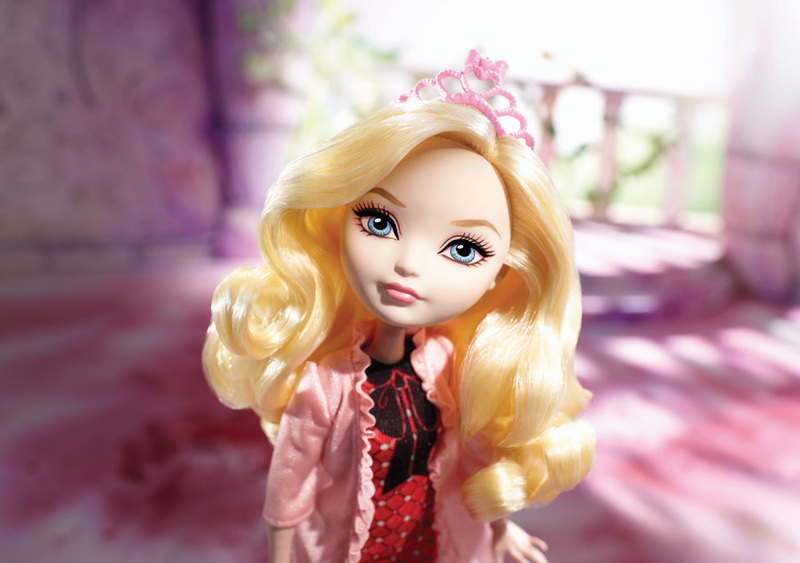 Ever After High students have just discovered a fableous new holiday to spellebrate - True Hearts Day! But what to wear? Each has to make an epic fashion decision, and her charmingly detailed vanity displays new accessory options. 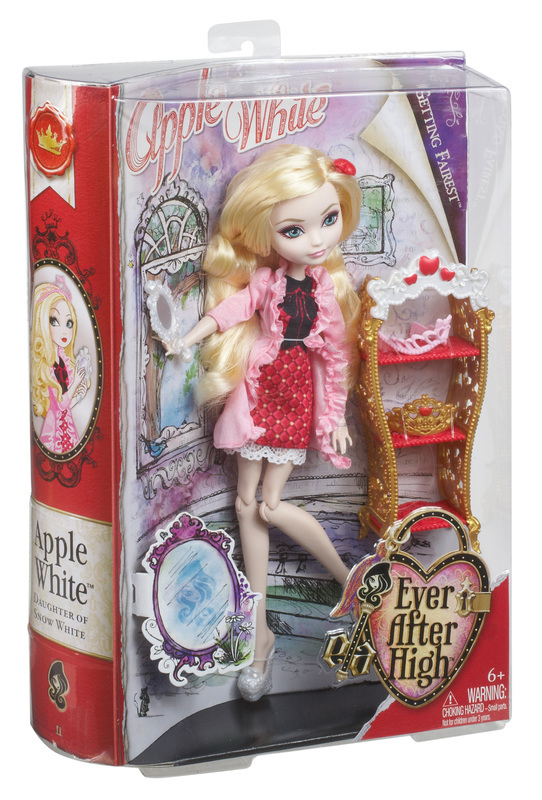 Apple White doll has two royally spellbinding crowns to choose from. Both rest easily on her enchanting vanity, with its three shelves and ornate red, white and golden design. But who knows? She may just decide to wear her enchanting sleepwear with its tufted pearl print, trompe l'oeil bow, blush pink ruffle robe and apple and bow slippers. Before heading out, she can brush her hair with the included signature-style brush - shaped like the key to her kingdom - and check with her pearl white handheld mirror to find out exactly how fair she is! 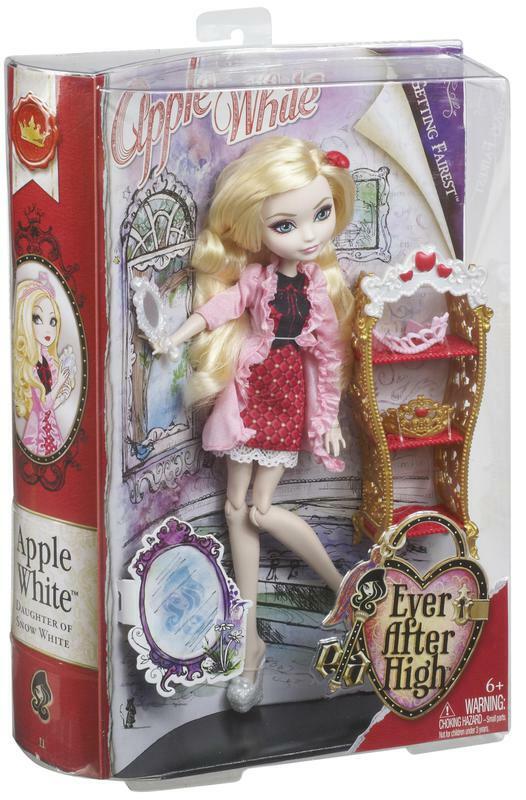 Includes Apple White doll, vanity, two crowns, handheld mirror, and key-shaped brush. Ages 6 and Up. This has to make an epic fashion decision for True Hearts Day, and her charmingly detailed vanity displays the options. 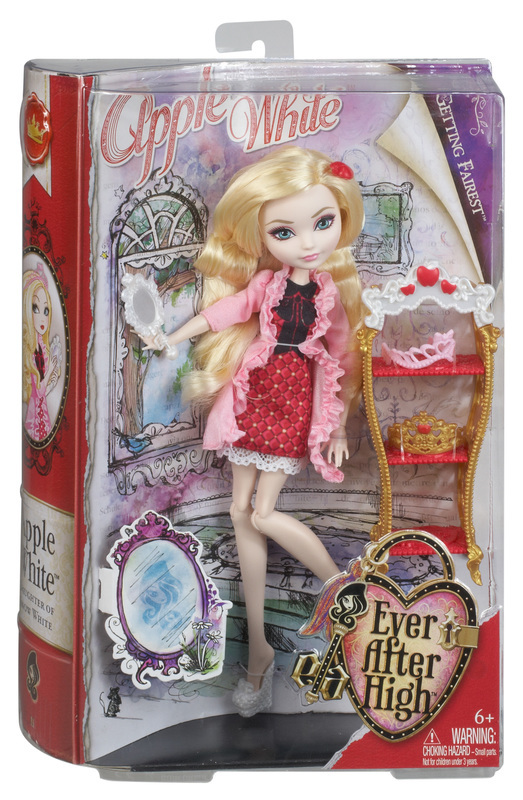 Apple White doll has two royally spellbinding crowns to choose from. She may just decide to wear her enchanting sleepwear with its tufted pearl print, trompe l’oeil bow, blush pink ruffle robe and apple and bow slippers. Brush her hair with the included signature-style brush, then check her handheld mirror to find out just how fair she is.